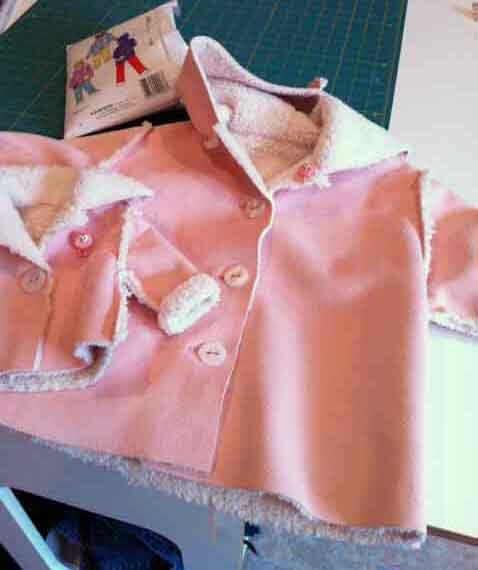 Kwik Sew jacket pattern #2994 is a snap to make with Sherpa fabric for your little girl. If you are sewing for dolly, Simplicity #3551 is a great choice for a matching coat. Both coats were sewn wrong sides together with ¼” exposed seams. I used the BERNINA Dual Feed on my BERNINA 830, with Patchwork Foot #37D. Non-stick Zigzag Foot #52 and Leather Roller Foot #55 would also be good choices. For stitching I used a 90/14 Universal needle, long-staple polyester thread, and a straight stitch with a length of 2.6mm. Buttons and standard buttonholes were used for the little girl’s jacket. To help the buttonholes stitch smoothly I placed tear-away stabilizer under the sherpa, then simply tore it away when the buttonholes were done. Dolly’s jacket closes with hook-and-loop tape. 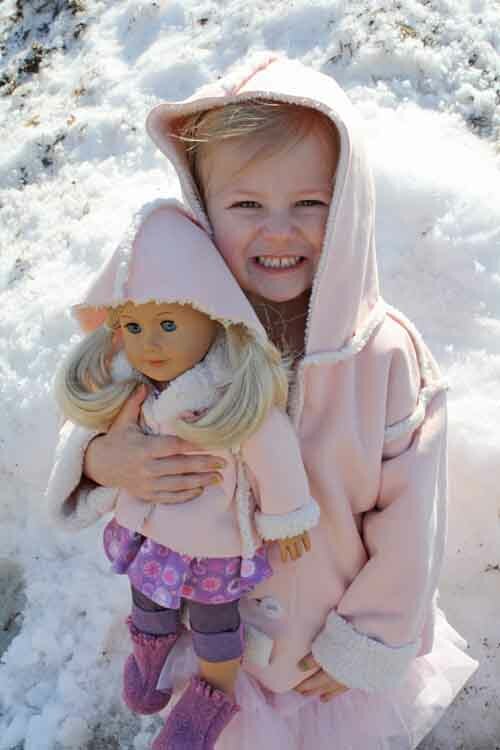 The girls love to wear their coats on stormy days, and you’ll love how easy they are to make! Hi Kerry, This is darling! Can you suggest any good online resources for sherpa? Thank you!